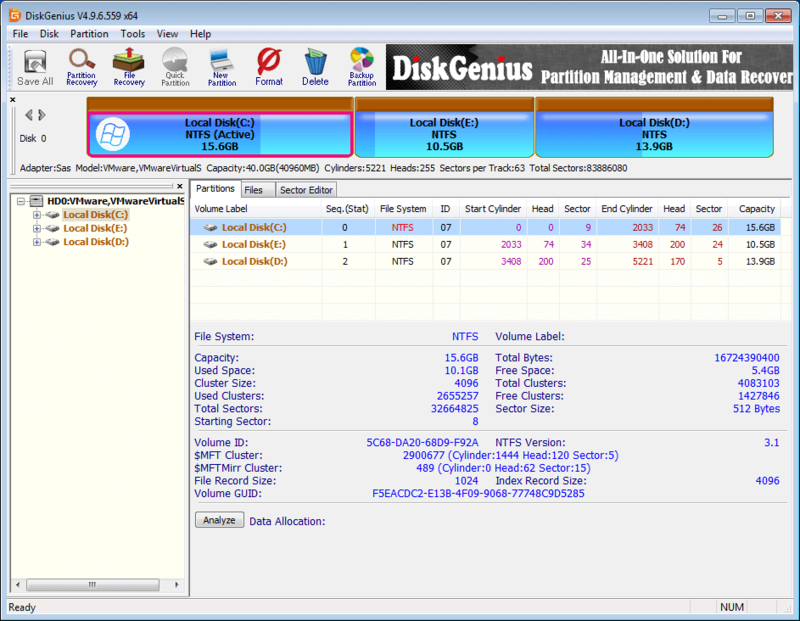 DiskGenius is an effective partition manager with particular focus on data recovery and data backup. It provides one stop solutions for your computer and server. With this tool you can recover deleted or formatted files, restore lost partitions, resize partition, rebuild MBR, backup operating system, clone disk, wipe hard drive, checking bad sectors on hard drive, virtual disk and removable storage devices.